the Ohen N’Ukoni Neyedo, Osarodion Usuanlele. 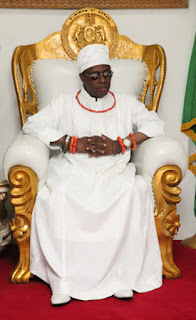 The Okhuaihe Chief Priest, will not enter Benin City again and whenever the Oba wants to pass through the vicinity, the Chief Priest would leave the area. performed before the symbolic wrestling bout. traditional rites were also performed as part of the coronation rituals.